The final quarterfinals round match-up of the entertaining World Boxing Super Series (WBSS) tournament is on tap this Friday when former two-time world light heavyweight champion Juergen Braehmer faces undefeated challenger Rob “Bravo” Brant, airing exclusively in Canada on Super Channel, live from Kongresshalle in Schwerin, Germany. The “Braehmer vs. Brant” card, starting at 2 p.m. ET / 11 a.m. PT,completes live quarterfinals coverage of the WBSS tournament for Canadian boxing fans, exclusively on Canada’s boxing destination network, Super Channel, which acquired the rights in Canada to broadcast the World Boxing Super Series from MP & Silva, a leading international media company that provides media rights, digital, technology and sponsorship services. The 39-year-old Braehmer (48-3, 35 KOs) is a former World Boxing Association (WBA) and World Boxing Organization (WBO) world light heavyweight champion who has dropped down in weight to compete in the WBSS super middleweight tournament. The hard-hitting German is 9-1 in world title fights and the skilled southpaw has defeated two world champions, Hector Javier Velazco and Enzo Maccarinelli. Braehmer will also have the advantage of fighting Brant at home. Brant (22-0, 15 KOs), fighting out of Saint Paul, Minnesota, was the only American boxer selected to compete in the WBSS. Unlike Braehmer, however, Brant has moved up one weight class to participate in the WBSS tournament. He is the reigning North American Boxing Association (NABA) middleweight champion. 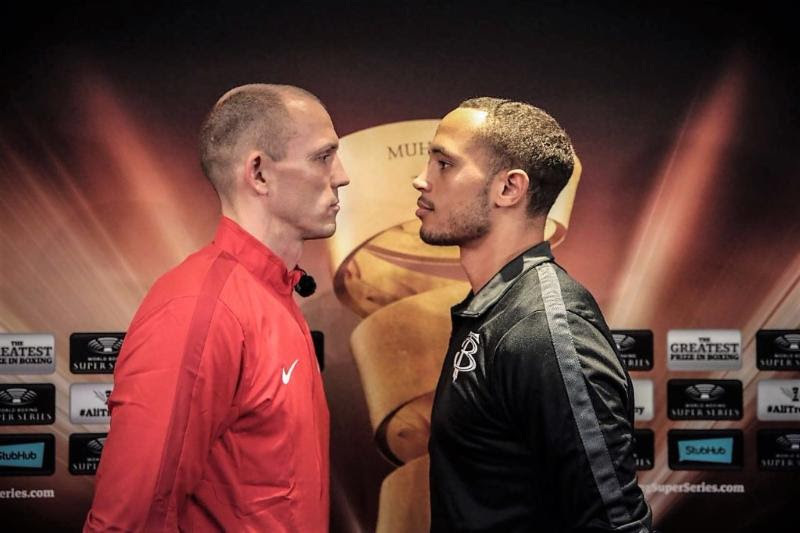 “Braehmer is well accomplished and a proven boxer worldwide with star power in his own country,” the 27-year-old underdog Brant noted. “I have no problem going into his backyard for a fight, he is a seeded fighter in this tournament. “I feel this is a pure crossroads fight containing a proven well-known fighter toward the end of his career against a hot prospect looking to make his name in the sport. I feel confident in winning this fight as does everybody in my training circle. After researching Schwerin, I am excited to compete in such a beautiful and historic city. The 10-round co-feature is a WBSS Substitute Fight between former Interim WBA upper middleweight champion Vincent Feigenbutz (27-2, 23 KOs), of Germany, and his Argentinian opponent, Gaston Alejandro Vega (27-11-2, 11 KOs). Other undercard bouts scheduled to air on Super Channel include Danish middleweight Abdul Khattab (15-2, 4 KOs) vs. German rival Ronny Mittag (30-2-1, 15 KOs) in an eight-round bout, 2016 Olympic bronze medalist Filip Hrgovic (1-0, 1 KO), of Croatia, vs. Czech Republic heavyweight Pavel “Pablo” Sour 6-0, 5 KOs) in a six-round match, and Danish heavyweight Kem Ljungquist in his pro debut vs. Revaz Karelishvili (8-2, 7 KOs), of Georgia, in a six-round clash.